On the eve of his ninth release — coming in the wake of eight consecutive successes and zero failure — Varun Dhawan is as grounded, or perhaps more, as any other well-groomed Bollywood aspirant would be. The daunting task in front of him, this time, is to step into the huge shoes of Salman Khan, which his father considered him worthy of only after he had proved himself. 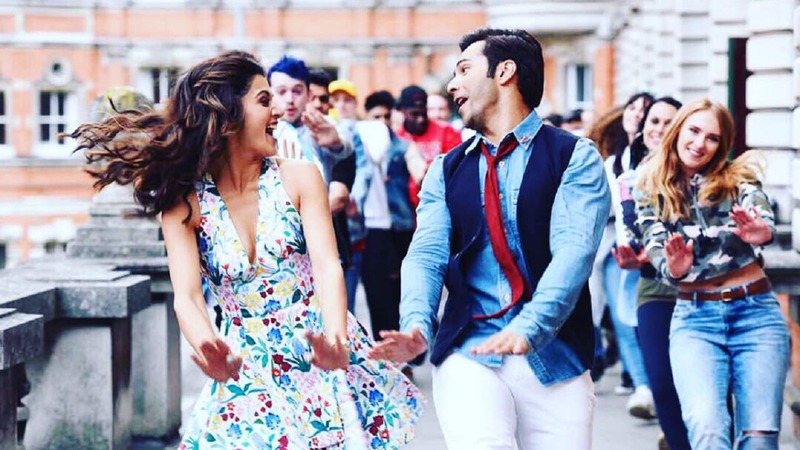 Varun Dhawan and Taapsee Pannu in Judwaa 2. Youtube screengrab. “My dad (director David Dhawan) told me, 'today I can do Judwaa 2 with you because you are a star'. It couldn’t have been my first film. It was Sajid Nadiadwala’s (producer) idea to make Judwaa 2. He and dad have been discussing about collaborating for the film for many years but I was never involved in their conversation,” says Varun, who has given eight back to back hits right from his debut Student Of The Year (2012) to this year’s release Badrinath Ki Dulhania. Twin drama Judwaa 2 stars Jacqueline Fernandez and Taapsee Pannu, and releases this week (29 September). The film has been creating a lot of buzz since it was announced, with excited fans reliving memories of the 1997 film that gave audiences two iconic characters ‘Prem’ and ‘Raja’. Varun essays both the parts originally played by Salman Khan in the super hit comedy. “Judwaa 2 is a very 'today' film. It felt like a completely new film for me. I saw my dad concentrate a lot more on storytelling, on relationships like recreating the Nandu and Raja friendship. The experience of working with dad once again was novel and unique for me (senior Dhawan had earlier directed Varun in 2014 romantic comedy Main Tera Hero). Mine is a very fresh approach towards both the characters and I have played them in my own way. Story, screenplay, dialogues, circumstances — everything has changed in this reboot,” says Varun. Besides Salman in Judwaa, senior Dhawan has directed many actors in twin dramas in the 90s like Amitabh Bachchan, Rishi Kapoor and Govinda among others. But why didn’t they think of making a proper sequel to Judwaa instead of its reboot? “It has been 20 years since Salman’s Judwaa released. I am a 90s kid who has grown up watching all these films but what about teenagers — 14, 15, 16 year olds who did not see the original Judwaa? Today, they are the new cine goers, and this genre has become quite rare,” explains Varun, who revealed that certain iconic scenes from the original Judwaa have been retained. “Five to six iconic scenes have been retained and if you are a fan of the original Judwaa then you will catch those scenes very well,” he adds. Considering Salman Khan’s fan following, Varun admits he has given a lot of thought to comparisons being made with the original Judwaa, and the biggest challenge for him is not to upset the original fan base. “It can be tricky with the film's original fan base. It’s all about getting it right. The other challenge was playing tapori in a contemporary way,” says Varun, further adding, “Comparisons are obvious to happen, and the day I decided that we are going to completely reboot this film and bring it two decades later, I knew all this will happen. I knew one thing as an actor — this will result in an incredible amount of buzz which you can’t buy as it’s going to be organic. Both, pressure and expectations will be there. But I am happy that there are expectations; if there were no expectations then that would have been a problem." A snippet of the iconic scene from the film where two Varuns will meet two Salmans. Salman’s advice is something Varun has always sought. In fact, the superstar has prepared Varun and has told him that he should be ready to take criticism from his (Salman’s) fans in his stride. “He told me that I have to win them over,” reveals Varun. Salman has made a special appearance in Judwaa 2, reprising the same roles of 'Raja' and 'Prem'. “Judwaa 2 would not have been possible without Salman as the superstar has made the two characters iconic. He is and he will remain the original ‘Raja’ and ‘Prem’,” says Varun.